Frederick MD Chapter, Harley Owners Group, Inc. Need a username and password to the Member page? 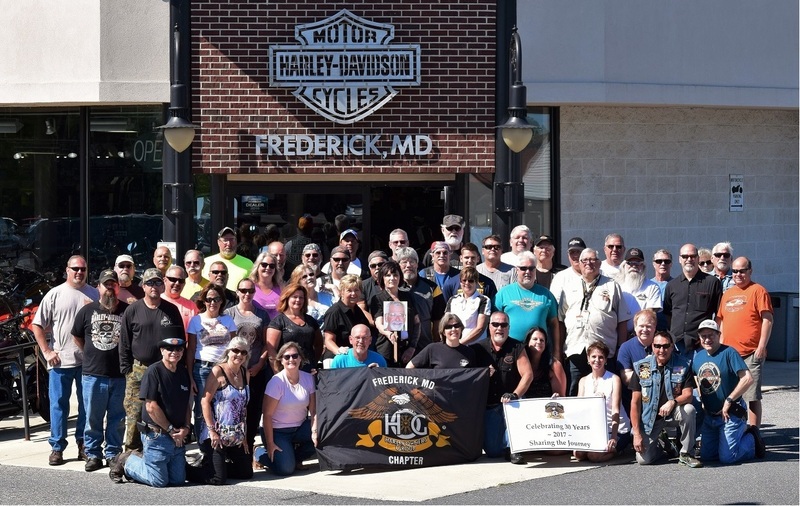 Harley-Davidson of Frederick is proud to sponsor the Frederick HOG Chapter. We Ride and Have Fun . . . Click here for more information. This website has the goal of keeping our members informed, entertained and connected with each other. Towards that end, if any of you have suggestions on improving the site, please let us know. Our next chapter meeting will be held at 7:30 PM on Thursday, April 25 at the shop. Check out our Google Calendar! You can click events and copy them to your own personal Google calendar. Makes keeping up on HOG events easy! Don't forget our Frederick HOG Facebook Group Page, another way you can keep up on upcoming events, share pics, etc.